An in depth look on the JUUL Vape Starter Kit, covering many of the aspects of both the brand and the device. We feel that it’s only right to include why the JUUL Vape has become the most popular e-cigarette throughout the world as well. Although many brands try to exist within the space, it has become evidently clear that the JUUL Vape has greatly impacted the vaping industry by stringing it along into a world where e-cigarettes and vaping are more socially acceptable. 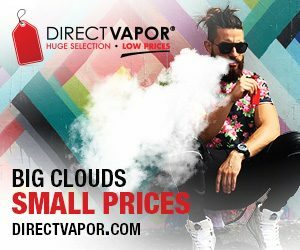 Vaping in itself has become socially acceptable throughout these past few years, which is a remarkable feat when compared to its past time where the public painted the industry in red. Due to its growing acceptance, manufacturers have evolved and began catering to a larger audience, and not just those that were the drivers of this cultural phenomenon. Devices that were once designed and created ideally for the hobbyist have now taken the backseat as new users flock to the industry of electronic smoking alternatives. With new users pouring in by the thousands each day and existing users ready to switch from hobbyist to a more realistic alternative with portability, satisfaction, and overall convenience, creating pod-based systems became a priority for new and existing manufacturing brands. 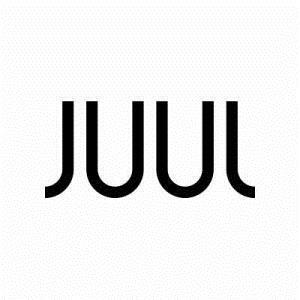 The JUUL Vape brand and company was founded in 2017 by its developer and parent company, PAX Labs. While the company may have started in 2017, PAX Labs already introduced the JUUL device mid-2015, which utilized nicotine salt e-liquid. Within the same year, JUUL was given a US patent for their nicotine salt preparation, solidifying itself as a serious competitor in a market that has yet to be grasped by the majority of consumers. In today’s era, JUUL is one of the most successful brands on the market, with a worth of $16 billion. While that’s certainly a staggering number to see, it comes as no surprise since its brand has become a viral sensation and one of the most socially accepted e-cigarettes of our time. What was most interesting about its rise to fame was that it opted to take a separate route from its competitors and march on a new path that involved creating a device that delivers nicotine like a cigarette, rather than a new age device designed for the cloud-intrigued hobbyists. 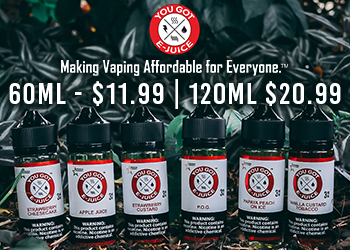 Its goal was to simply provide satisfaction with a high nicotine salt delivery and superior comfort, and the JUUL Vape does just that. The JUUL Vape Starter Kit consists of everything you need to get started vaping, all in one package. Even in an industry where technology has come so far, starter kits typically won’t offer everything to get started, however, the JUUL Vape Starter Kit does. What you’ll receive is a rechargeable JUUL Vape device, 4 JUUL Pod’s, a USB charger, and a 1-year device warranty. From the first time you receive the device, you’re instantly set up to begin vaping since the kit includes the device, a pod with e-liquid pre-filled, and a charger — that’s all you need. 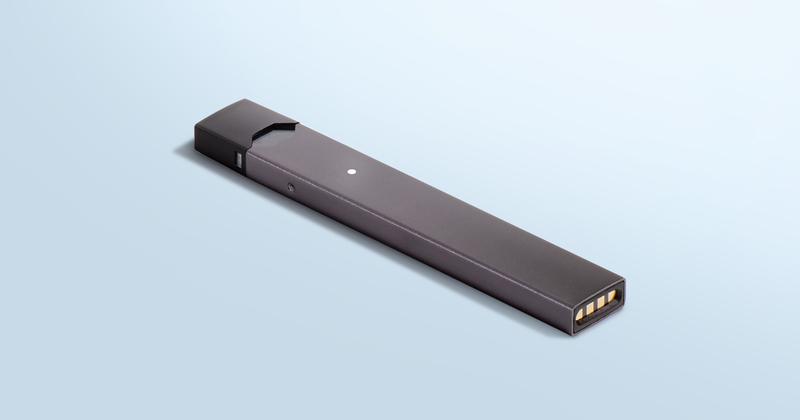 The JUUL is discreet and compact, close to the length of a traditional analog cigarette, but instead of being rounded, it has a rectangle shape for greater comfort and to give a more modern impression. Its slim size makes it extremely portable, allowing you to stow it away anywhere when not in use. 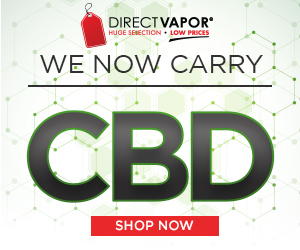 Slide it into a shirt pocket, pants pocket or handbag until you’re ready for your next vape. The JUUL Vape delivers total comfort from top to bottom. Constructed of high-quality material, the JUUL Vape device has been designed for those that appreciate its quality, modern design, discreet footprint and simplistic feel. If you were to compare it, the JUUL Vape is the iPhone of vaping, adopting many of the same characteristics that have catapulted the mobile device to success — everything from the packaging to the device itself. Encased in its battery housing is an integrated battery. The battery can be charged at any time via any USB port. Charging the device is very simple since the charging dock at the bottom is magnetic, in fact, it’s as simple as standing it in the magnetic USB charge that comes with the starter kit. From that point, it will take merely an hour for a fully charged battery. So that you’re always aware of the current state of the battery, an LED battery life indicator is equipped and positioned on the center of the JUUL Vape. By simply tapping it twice you’ll see the charge level. When the LED indicator is green it means the charge is high, yellow means it’s medium, and red means the charge is low. Additionally, when you take a draw from the device, the LED indicator will light up to let you know the device is currently activated. Aside from the battery, the most prominent part of this setup is the JUUL Pods. The JUUL pods are available in several flavor options and utilize JUUL’s patented nicotine salt flavors. Each pod is prefilled and comes with an integrated atomizer coil, along with an e-liquid level window to indicate how much e-liquid is currently in the pod. To install a new flavor, it’s as simple as removing the colored cap from the pod and inserting the pod onto the top end of the device. The pod will then act as both a pod and a mouthpiece. Using the device is super easy and hassle-free, making it one of the most convenient devices to use. The JUUL Vape adopts an automatic design with a voltage based output. 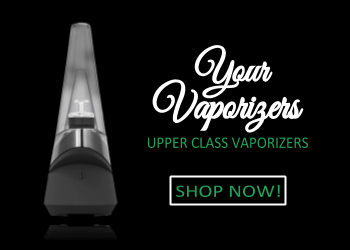 By just taking a draw from the device, a sensor automatically detects the device is in use and immediately reacts by using a chip-based smart TC system, working in sync with the battery to produce the perfect balance of power and temperature to ensure the best vapor temperature and the most satisfaction. 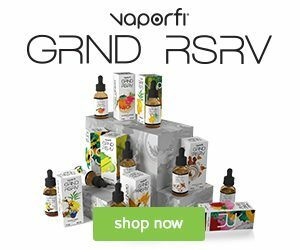 While there have been many big players in the vaping industry for years, such as BLU, Njoy, and a slew of others, why has the JUUL Vape become the most popular e-cigarette? Although brands like Blu rest on the shelves of nearly every convenience store retail chain, it has yet to become the face of vaping. However, JUUL has been able to accomplish that difficult task of becoming the face of vaping, which has made vaping more socially acceptable. While vaping may not be the ‘it’ thing everyone’s talking about, JUULing is. Due to its incredible marketing tactics and using social networks to its advantage, the JUUL Vape has gone viral, it’s become the trending topic throughout the media, and it has only fueled the brand to dominate. Bloomberg recently reported that JUUL Labs is raising $1.2 billion in a financing round that would value the company at $15 billion. In May, it was reported that JUUL was the result of 68% of the US e-cigarette market. Aside from its great accomplishments and its ability to become the face of vaping, JUUL became such a popular brand because of its device. There are many similar devices on the market, but JUUL’s ‘done the right way’ approach far exceeds what its competitors are doing. Many have taken the same approach, but fortunately for the JUUL brand, they were the first to become noticed with the help of a sophisticated marketing strategy. The device itself boasts a quality feel due to the materials used, it has a fascinating appearance due to modern design, it’s the most comfortable due to its compact size, and it’s one of the best performing due to its patented JUUL salts e-liquid, its pods, and internal technology. To top it all off, the JUUL Vape was created with smokers in mind, and those are the people who are the wave of the future for the vaping industry. 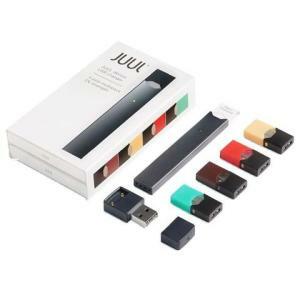 We’re not only fascinated with the extraordinary growth of the JUUL brand, we’re quite intrigued by the starter kit itself. We feel compelled to dive further into the characteristics that make up this device by completely dissecting the JUUL Vape Starter Kit to reveal every piece to this admired electronic puzzle — which isn’t so puzzling. Feel free to visit the next page as we scope out every inch of the JUUL Vape, break it down to its core, and reveal its details.